Mother of two, Stacy Lee Ling never set out to be in the field of art and education where her growing business has taken her today. It was a series of events leading her here along with an alignment of sorts that led to Angels Pottery & Art Fun House being a life-changer for families in the southern cities. 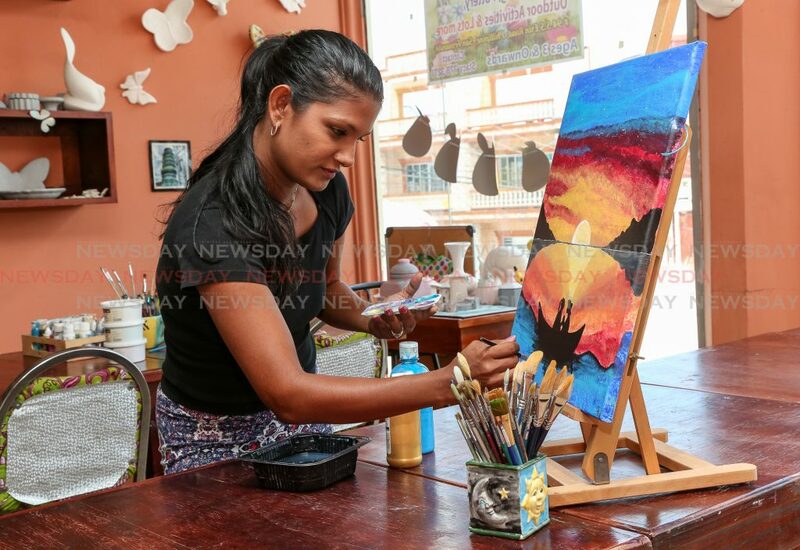 Originally from Debe, the land of doubles and aloo pies as she puts it, Lee Ling initially set her sights on pursuing veterinary studies due to her love of animals and pursued sciences in her secondary school education. After working as a cashier then supervisor at a popular southern grocery chain and getting married, however, she went to work in the engineering side of things, for a hydraulics company – being a woman in very much a man’s field of work. Her own life changed when, on a trip to England with her two children, she went to a potter’s house and sat among British people learning the art of pottery and art. 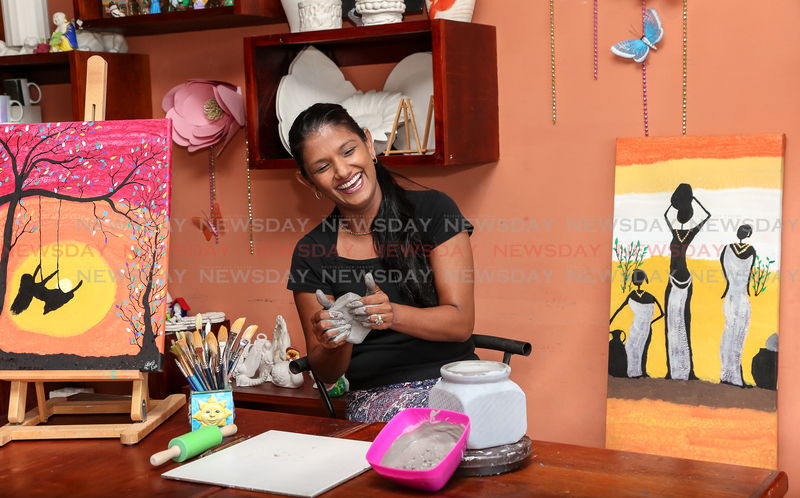 “I felt something being there that I hadn’t felt before and I knew I had to take this back to Trinidad with me,” she pointed out. So she did, immersing in pottery courses back at home with her guru, Sadia. Around this time too, her mother was diagnosed and eventually succumbed to stomach cancer. “I didn’t take any time for bereavement really, so on returning to work I realised that my heart wasn’t in the same place in that very competitive and male-dominated environment. I started thinking more of the joy I experienced in pottery and in art – in its own way, it was therapeutic for me. So I explored where to find materials and started exploring places for rent that I could go do this and also teach what I knew in the art-form. I landed upon this place in Palmiste, and though I felt like I had very little support from anyone or even the support I needed to start a business financially, I did. “My landlady looked at me and as a woman I felt that she knew what I needed right there – she encouraged me – well past a business relationship, she encouraged me like a friend, a sister to do this,” she recalled. “I was rebellious since I was a child – so I think that worked in my favour,” she added wistfully. The business would soon grow to offer a day care solution – providing a gap between children being at home and starting off in nursery schools. And today, some of those children are now in the secondary schools where Lee Ling may teach as a guest of their art programme to have students immerse in art for the sake of art – not for projects or as part of a curriculum. 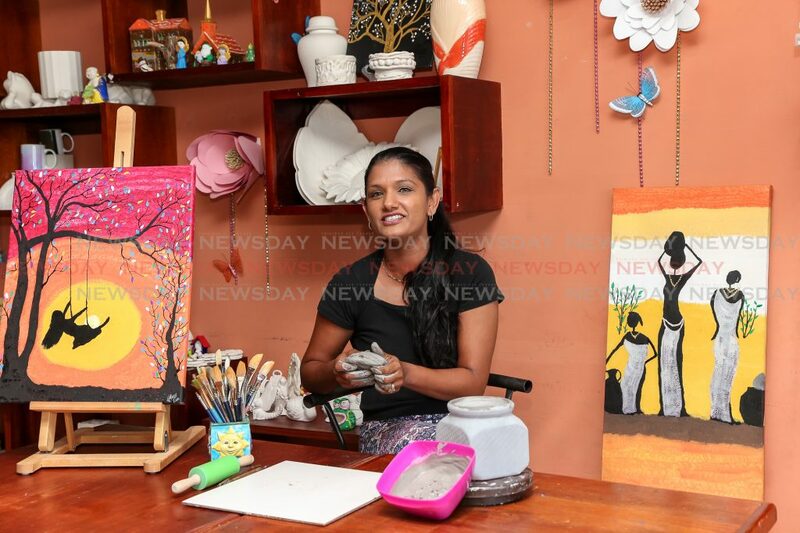 Over time, the self-taught artist, also realised she had a gift and knack for discerning students that were struggling with learning issues and disabilities that may not have identified by their parents up to that time, and decided to begin her BSc in Education at the University of Trinidad and Tobago so that she would be better equipped to work with these parents and help these children in their journey. “In the course of their development, we would spot issues that appeared to be signs of autism in children that parents, who may not have another child-rearing experience to point to, would just think of as their child being themselves, but having raised two children myself and worked with so many others, you start to see the patterns emerging and that’s how we are able to discern and help,” she pointed out. Lee Ling, who contends with having celiac disease, also is a fitness fanatic. My kids and I spent as much as two hours a day being active – we play cricket outside or a little volleyball. And it doesn’t matter if it’s exam times or not – we place importance on being a balanced family as my daughter would say,” she added. Out of that, she also took to introducing the St Joseph’s Convent San Fernando Dragon-boat team to HIIT training. “I noticed that the girls needed more endurance for something as competitive as dragon-boat racing. So I took what my own fitness instructor was doing with me and began applying it to the team and we’ve seen not only their overall fitness improve – but also their water coach has seen it himself too as they practice,” she observed. The team will be competing at the Pan Am races this weekend in Tobago. Reply to "Stacy Lee Ling: The creative entrepreneur"